Soeren Stamer is head ninja, top strategist, main innovation engine, chief optimist and CEO of CoreMedia. 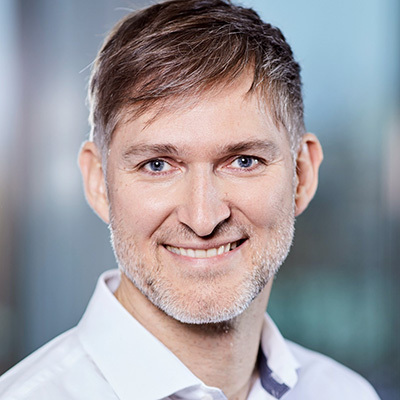 Along with an MBA from the University of Hamburg, he has extensive startup and leadership experience, co-founding CoreMedia in 1996. A pioneering advocate of social media, he has contributed important thought leadership on web content strategy, digital rights management, A.I. and enterprise 2.0. Soeren is an award-winning author, speaker, father of four fun kids, and a very happy husband.